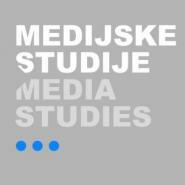 Our member Václav Štětka has just published an article „Media and Democratisation: Challenges for an Emerging Sub-field“ in the new issue of the journal Medijske Studije (Media Studies). The article (co-authored by Nael Jebril and Matthew Loveless) aims to compile an empirically-based understanding of the role of media in countries in transition. The study focuses on the processes of political socialization, behaviour and accountability using examples from three regions: Central andEastern Europe, Latin America, and the Middle East/North Africa.